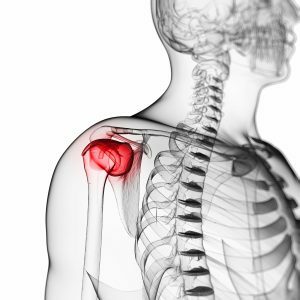 Almost every week we have a patient come into the office explaining how they injured their rotator cuff. Some do it lifting weights overhead, for others it’s an old baseball or tennis injury. Whatever the difference in the origin of the injury, one thing is common, it’s something that usually lingers for a long time if not initially treated properly and it is NOT normal. The rotator cuff is made up of several muscles that help support and guide range of motion for the shoulder joint. Pain arises when someone injures or overuses the surrounding muscles, tendons, ligaments and joint surfaces. These muscles originate from the “wing bone” aka the scapula and together form a single tendon unit that attaches to the humerus. Rotator cuff injuries occur when tendons are impinged by the acromion (part of the anterior scapula).This mechanism is believed to be a major cause of cuff tears in individuals older than 40 years. Rotator cuff injuries also happen after a fall or may be caused by chronic wear and tear leading to degeneration of the tendon. The shoulder is considered a ball-socket joint. It allows the arm to move in many directions. It is made up of the humeral head (a ball at the end of the bone of the upper arm) fitting into the glenoid fossa of the scapula (the socket). The humeral head is kept in place by the thick bands of cartilage and the joint capsule. The joint itself contains a synovial membrane. It is the inner membrane of tissue that lines a joint. The synovial membrane secretes synovial fluid that lubricates the joint. The rotator cuff muscles are the dynamic stabilizers and movers of the shoulder joint and adjust the position of the humeral head and scapula during shoulder movement. Symptoms of rotator cuff injuries are pain in the front of your shoulder that may radiate down the side of your arm. Overhead activities such as lifting or reaching usually hurt and sleeping on the affected side may hurt. The arm may be weak and can cause difficulty with even routine activities such as combing your hair or reaching behind your back. When the rotator cuff is damaged it can produce pain, spasm, inflammation and swelling. All of those ailments restrict movement and mobility. Non-surgical options include anti-inflammatory medication, steroid injections, acupuncture, laser therapy and/or physical therapy. The aim of physical therapy is to keep the shoulder joint stable by strengthening the muscles of the rotator cuff and to restore full range of motion. Typically rotator cuff rehabilitation takes 4-6 weeks but varies depending on the type of injury and the patient. Some examples of exercises that comprise a rotator cuff program are active assisted range of motion exercises with a wand or stick and strengthening exercises with a theraband to support the shoulder joint. After recovery, these exercises should be continued as a maintenance program 2-3 days per week for lifelong protection of your shoulders. When a patient comes to our office with a rotator cuff injury, our approach is to first and foremost decrease the pain, swelling and inflammation.Our goal is to assist healing without painful or invasive procedures. If after our evaluation and examination we have the opinion that a condition requires medical intervention beyond the procedures available our office, the patient will be referred to other professionals who offer more invasive procedures such as injections and surgery (But only if absolutely needed!). In most instances rotator cuff injuries can be remedied rather quickly by the painless, non-invasive procedures available at Monmouth Pain & Rehabilitation. Because of our excellent track record in taking care of these injuries, we receive a great deal of referrals from various physicians in our community. So while it is true that many rotator cuff injuries evolve into chronic issues, it is usually because from the start they are not treated or allowed to heal properly. At our office we have great success in recognizing and treating the injury properly. With the attention, patience and techniques available in our office it is an infrequent occurrence for this type of injury to cause discomfort beyond the normal time of healing. When considering a remedy for your rotator cuff injury, Monmouth Pain & Rehabilitation should be your first stop. 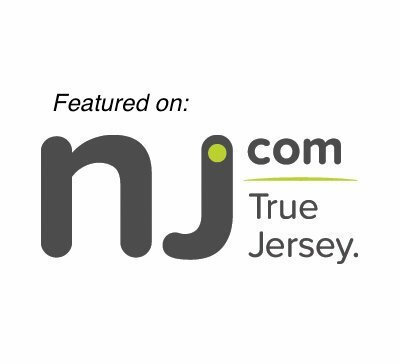 Give us a call at 732-345-1377. Mention that you read this blog and you will receive a complimentary in-office evaluation (a $245 value). Summer weather has arrived! How can you skip the gym, spend time outside and still get in a workout? Whether your summer day includes time at the beach, a day in the park or even working in your yard, these tips will ensure that you maintain your fitness. Tip #1: Keep it simple. Choose activities that don’t require additional equipment or a lot of time. Tip #2: Recruit those around you to join in the fun, it increases your motivation. Tip #3: Switch up the exercises daily to keep things interesting and more challenging! Tip #4: Combine cardio exercises with strength training exercises to get maximum health benefits in less time. Tip #5: Warm-up for 5 minutes with brisk walking, slow jogging or other light cardio to elevate your heart rate slowly and prepare your body for the workout. *Choose one exercise from each group to make a circuit of 4-6 exercises performed 1-2 minutes each. Repeat circuit 3-5 times. Jumping Jacks, high-knee run/skip, mountain climbers, burpees, skater side to side jumps, etc. Push-ups, tricep dips, crab walk, overhead press with knee raise, push up to plank arm crawl, etc. Alternating/walking lunges, body weight squats, squat jumps, high step ups on bench or stairs, side steps with squat, etc. Plank/side planks or any variation, crunches, lying leg raise/bicycle, seated side to side twists, etc. Get Summer 2016 off to a healthy start! Stay tuned for next week’s blog on……Outdoor group fitness opportunities near you! Yesterday I was waiting in a strip-mall parking lot to pick up some vegetarian sushi for my daughter. I was sitting in my truck parked in front of the laundry mat. A car pulled in next to me. I observed a disabled man alone and with two canes attempt to get out of his car. I watched his trunk hatch unlock. I understood that he was going to try to get some laundry done. I got out of my truck and asked him if he would like some assistance. He happily said yes. From his trunk I removed a heavy bag of laundry. The man gave me specific instructions on where he wanted the laundry placed. I took his direction and found his washing machine. I then went back outside an assisted him into the laundry mat. If I were not there, he would certainly have gotten his task completed, as I am sure he had done many times before, albeit with difficulty. Sitting back in my truck, I felt a sense of calmness come over me. I spend a good part of most of my days as a doctor helping people. And like so many moments when I am serving others, I gain temporary reprieve from the otherwise constant anxiety that I have been suffering with for most of my life. Those of you that suffer with anxiety understand it is associated with uneasiness, irritation, discomfort, shakiness, nervousness, and worry. And we are not alone. Millions of Americans suffer with anxiety. Unfortunately, many have to resort to anti-anxiety medication to remedy their pain. In fact, approximately 50 million prescriptions are written for anti-anxiety medication in the U.S. each year. About 1 in 6 people suffer with varying degrees of anxiety on a regular basis. These medications have many side effects and are in no way the long-term solution to the problem. For me, I deal with anxiety by moving. I move incessantly. Those of you that know me personally know I am hard to catch. I walk, run, go the gym, practice yoga and chi gong, meditate, work long hours, play with kids, mediate more, I read, I write, I think about ways to improve my life, my business, and the lives of those I touch, I calculate things, I work out math equations, I surf and snowboard, I sing and play guitar (poorly), I see the psychologist, I pray, I get my neck adjusted, and I’ve even used anti-anxiety medication a few times. I even try to do nothing, but when I do nothing it gets worse. So, I manage. I have studied anxiety. There are many theories on its origin. Some studies suggest that anxiety is a genetic trait. My mother has suffered with anxiety her whole life and her mother (my grandmother) as well. In fact, my 90-year old grandmother has been on anti-anxiety medication daily for 50 years! Other theories suggest a learned behavior, a repressed unresolved issue, or I have even seen it explained as ancestral karma. So maybe I am dealing with working out universal laws of cause and effect from not only my own actions , but of those that came before me! In the book Beyond Religion, the Dalai Lama observes how people in less developed countries worry less and are less anxious compared to those living in the western world. He suggests that perhaps their hardships force them to exercise greater patience and forbearance in life and that this in turn provides greater strength. A greater capacity for accepting difficulties is created without losing an inner sense of calm. Perhaps simply understanding that life comes with difficulties is the first step toward combatting its harm. The next step is the desire to alleviate the suffering. This is compassion. Compassion is a two way street. The desire to serve others and to act on the intention to relieve their suffering has an immediate rebound effect where you in turn help yourself. I think this is why the best relief I gain from my anxiety is when I am helping others. This level of compassion has been shown to also help us on the cellular level to improve not only our health, but also our immunity even down to the level of our DNA. If we all focus a little bit more compassion, compassion to relieve the difficulty and pain and suffering in others, we find that we can perhaps make that leap and find it in us to find the intention to want to help ourselves. Interestingly, the great Nelson Mandela also gave a copy of this speech to François Pienaar, captain of the South African rugby team, before the start of the 1995 Rugby World Cup,in which the South African side eventually defeated the heavily favored New Zealand men’s national rugby union team. Every day each of us steps into the arena of life. We sweat, we fight, we fail over and over again. This is life. As some would say, “This is what we signed up for.” And for what? This is the great metaphor for the human experience itself. It is here in the arena that we have the opportunity to cultivate and develop ourselves. It is here in the arena of life that we can serve others. How you chose to be when you are in the arena day in and day out will determine the level of peace you carry in your heart and the happiness you express outward to the world. I witness this first-hand at Monmouth Pain each and every day. The road to better health and recovery from pain, injuries, and ailments can be a tough one. It can be grueling and require commitment, dedication, and a true desire to feel better. There are low points and times of true exhaustion. I have witnessed a number of patients at their lowest when going through treatment and I have watched those same patients continue to move forward and fight their way to recovery. Success comes very sweet for those that stick with it and accomplish what they set out to do. Its all sounds so simple, but no one ever promised us it was going to be easy. Many individuals suffer from soft tissue injuries including ligaments, tendons, muscles, joints, cartilage, nerves, and bones. These soft tissue injuries are often referred to as musculoskeletal disorders. Aside from psychiatric disorders, musculoskeletal disorders are the largest cause of global disability. Everyone is at risk of some sort of musculoskeletal disease, but we also have the ability to prevent them. Movement can be the most effective (and financially friendly) treatment of different types of musculoskeletal disease including carpal tunnel syndrome, tendonitis, trigger finger (gamer’s finger). Engage different parts of your body. Don’t overdo it – listen to your body and rest when you feel the need. Thank you to Symmetry Spine and Wellness for sharing this inspirational video! Are you Imprisoning Your Heart? Happy Valentine’s Day! 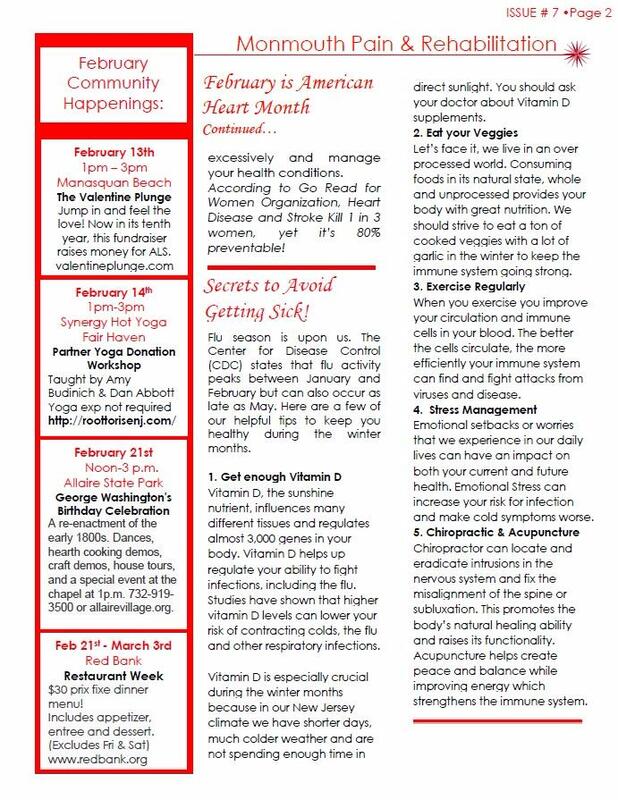 You know I’m about to give you some interesting facts on the heart and some health advice to help that heart keep pumping so you can keep loving and being loved! For many years chiropractors claimed to see their patient’s blood pressure drop following a chiropractic adjustment. In the past, the medical community called this quackery and chiropractors were actually put in jail for practicing medicine without a license as recently as the mid 1950s. More recent studies performed by MDs have shown that the chiropractors were right! In rigidly controlled medical studies, spinal adjustments performed on the upper neck area reduced blood pressure significantly. “This procedure has the effect of not one, but two blood-pressure medications given in combination,” study leader George Bakris, MD states. Blood pressure dropped an average of 13mm on the upper systole number and 8 mm on the bottom diastole number following the adjustment for at least 8 weeks. Studies have even shown that some patients are able to come off of their blood pressure medication. These are very significant findings that actually made the news. Study leader, George Bakris, MD stated “when the statistician brought me the data, I actually didn’t believe it. It was way too good to be true” (1 & 2). Having a bit of a background in physiology I would like to give you a basic explanation on how this happens. Spinal misalignments may or may not cause pain. One thing I do know is that spinal misalignments create stress on the nerves. The heart and the blood vessels of the body are all controlled by these same nerves. If you have stress on the nerves that go to your heart, guess what can happen? That’s right, your blood pressure can rise. 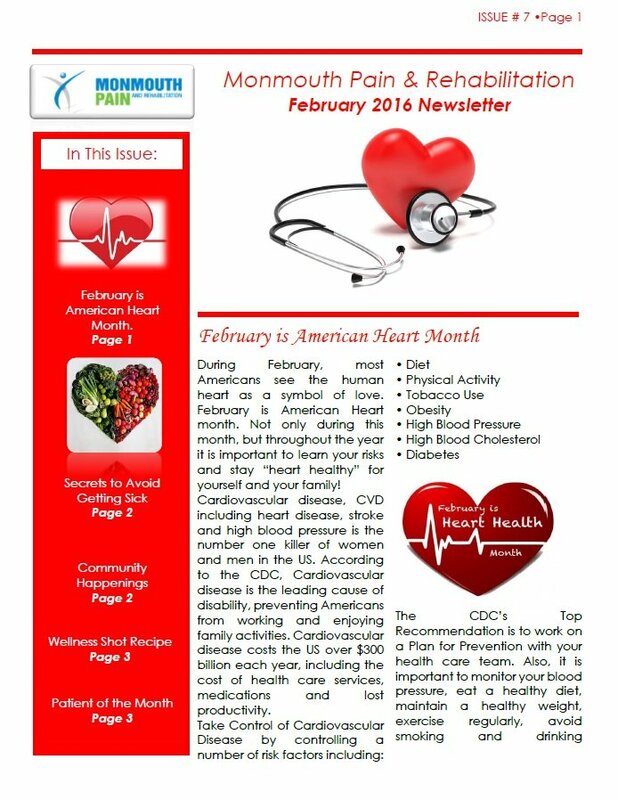 Unfortunately, the most common approach to high blood pressure is blood pressure medication. So let me ask you a few questions: If you take blood pressure medication to treat high blood pressure that is caused from stress on the nerves, are you treating the cause or the problem? Or are you simply treating the symptom? Is this any different than driving with your foot on the gas pedal AND your other foot on the brake AT THE SAME TIME? How long can you drive like this? Well, probably until your car breaks. You don’t drive your car like this so why would you drive your body like this? Why don’t you treat your body with the same level of care and love? Getting your spine adjusted regularly, whether you have high blood pressure or not, will only help that heart do its job! 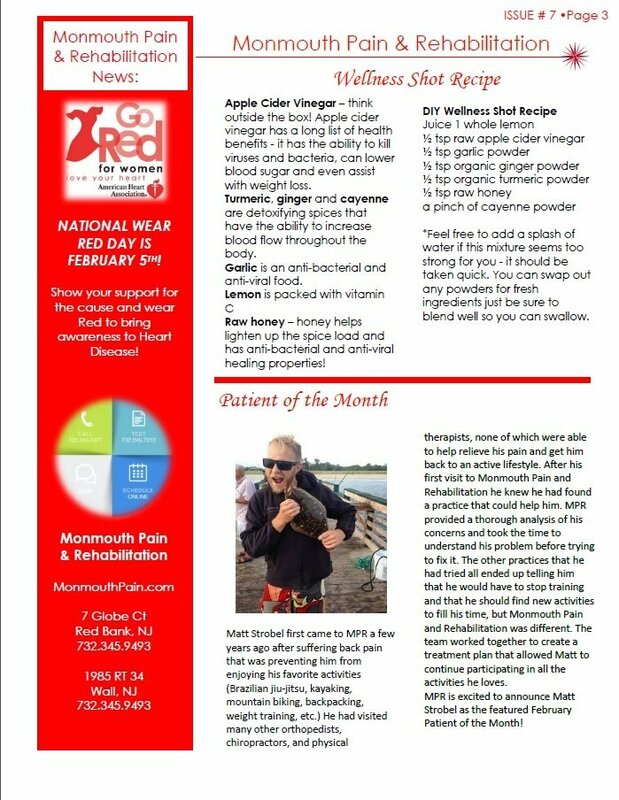 Here at Monmouth Pain and Rehabilitation in Red Bank, NJ we love your heart. We actually love it so much that if you call us at the office (732.345.1377) and say : “I would like to have my spine checked to see if I have any pressure on the nerves to my heart”, we will not only check your spine, but we will do it for free! Call it community service to help the world live healthier and happier lives! Happy Valentine’s Day! NaaMan, L. & Ibanga, Maeyen. (2008). Could a Neck Adjustment Lower Your Blood Pressure? http://abcnews.go.com/GMA/OnCall/story?id=4520614&page=1. Filed under Acupuncture, Chiropractic, Pain Management, Physical Therapy, Uncategorized. 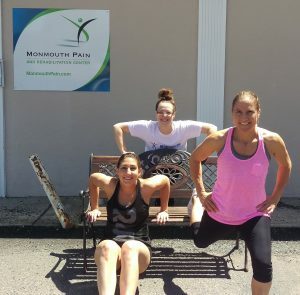 Monmouth Pain and Rehabilitation in Red Bank NJ offers multiple programs of care together, in one location, providing the best results for the treatment of Fibromyalgia and making it convenient for patients to find a resolution to their condition. I truly believe that one of my office’s most significant features is the different programs of care that we offer together. By offering Physical Therapy, Chiropractic Care, Acupuncture and Pain Management together in one location, we can get the best results possible. Fibromyalgia is a condition that can be treated by all the programs of care that we offer here in our office. Fibromyalgia is a common syndrome in which a person has long-term, body-wide pain and tenderness in the joints, muscles, tendons, and other soft tissues. Approximately 1 in every 73 American adults suffers from fibromyalgia. The American College of Rheumatology says that between 2 and 6 million Americans have fibromyalgia. There is no known medical cause of fibromyalgia so treatment methods vary from patient to patient. 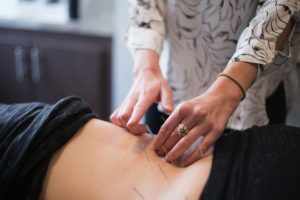 Often, fibromyalgia will require different forms of treatment and it can be a very exhausting and confusing task for fibromyalgia patients to visit different medical doctors and practitioners to seek the treatment they need. Fortunately, Monmouth Pain and Rehabilitation offers a solution to this problem by offering different programs of care together, in one location, allowing the best results possible for treatment of Fibromyalgia. Fibromyalgia patients often find that acupuncture is effective in dealing with many symptoms of the disorder such as pain and fatigue. Physical therapy and chiropractic care are also extremely helpful modalities in the treatment of fibromyalgia. Acupuncture for fibromyalgia involves restoring the body’s natural balance to release blocked energy and stimulate the body to heal itself. The small, hair-like needles that are inserted into different points of the body are known to release endorphins, which are the body’s natural pain killers. Physical Therapy is important for the treatment of fibromyalgia because it can help patients improve function and mobility, preventing further deterioration and relieving pain. Chiropractic care seeks to alleviate pain caused by fibromyalgia by correcting misalignments (subluxations) of the spine. When the spine is not properly aligned, the body is susceptible to illness, including fibromyalgia. At Monmouth Pain and Rehabilitation, we have Physiatrists on staff. Physiatrists specialize in Physical Medicine and Rehabilitation. I feel that a physiatrist should be the physician of choice for fibromyalgia patients because they can provide non-surgical treatments to help patients reduce pain and restore functioning that was lost to fibromyalgia. Physiatrists treat the whole person, addressing physical, emotional and social needs during the rehabilitation and pain management process. The physiatrist here at Monmouth Pain will design a treatment plan for each individual patient that may include acupuncture, physical therapy, and/or chiropractic care. Fibromyalgia patients often experience areas of intense muscle spasms. The Physiatrist here at Monmouth Pain and Rehabilitation may suggest Trigger Point Injections to treat these specific muscle spasms. Trigger Point Injections are injections of a local anesthetic medication or cortisone into the areas of the body experiencing muscle spasms. Syndromes like fibromyalgia can be difficult to treat because there is no known cause and it may require different methods of treatment. Fortunately, Monmouth Pain and Rehabilitation offers multiple programs of care under one roof, making it convenient for patients with fibromyalgia to seek treatment. By combining different treatment programs, the results are better than treatment with only one program. Our programs of care are well-planned, compassionate and effective- as we treat the whole patient. We never give up on our patients when it comes to searching for solutions that will work for them. Our goal is to resolve our patient’s conditions and restore them to an active, healthy lifestyle. Please visit our website or contact our Red Bank office to learn more about how we treat fibromyalgia at Monmouth Pain and Rehabilitation. Monmouth County pain management office continues its mission to educate patients on the dangers of misusing painkilling medications. If you’re any type of athlete (professional or otherwise), you need to read the following information. A number of studies show that many of you are relying on over-the-counter pain medication as an ergogenic aid to enhance performance and/or relieve pain—and that this action can have serious health consequences. Naturally, when it comes to activities that require endurance, athletes are always looking for new ways to become better competitors. In particular, NSAIDs (non-steroidal anti-inflammatory drugs), such as Advil or Aleve, are well- known for having anti-inflammatory and analgesic effects. It’s become apparent that many athletes are using these drugs before, during, and after competition. At Monmouth Pain and Rehabilitation, we’ve spoken a lot on our blog about the dangers of over-the-counter medications. NSAIDs function by blocking prostaglandins—substances produced by the body that are responsible for protecting the lining of the stomach; regulating blood pressure; and mediating pain and inflammation. Masking pain is never a good idea—it reduces the sensation of muscle soreness but does nothing to prevent injury to the muscles. Worse, one study* showed that long-distance runners who had taken ibuprofen before and while running showed more inflammation and other signs of immune system response than those who had not. Those runners using the ibuprofen also had mild kidney impairment, dehydration, and something known as exertional hyponatremia, in which the delicate yet extremely important balance of blood/sodium concentration is disrupted to a dangerous degree. Some of the runners also suffered from minor endotoxemia, in which bacteria leaks from the colon into the bloodstream. We told you the news was disturbing. Athletic activities aside, the long-term use of NSAIDs can cause ulcers, gastrointestinal bleeding, and kidney damage. Let’s talk about safe over-the-counter drug use. Those of you who do not have a history of ulcers, gastrointestinal bleeding, or kidney issues can safely use NSAIDs as a short-term method of relieving muscle soreness or minor injury. Contact our Red Bank rehabilitation office to learn more. *Study completed by the Human Performance Laboratory at the North Carolina Research Campus.